Today's recipe is vitamins B and C rich also very rich in minerals. Daal is a dried pulse (lentil, pea or various types of bean). It provides an excellent source of protein, particularly for those adopting vegetarian diets or diets which do not contain much meat. In most of the places in India, Pakistan, Sri Lanka, Nepal and Bangladesh daal is everyday dish and because of it contains so many minerals the amount of dishes are cooked with daal are in hundreds if not thousands. It is very important diet all over Indian subcontinent. Daal Gosht is is not only tasty but also goes well with rice or rotis. This recipe is made using wonderful ingredients like onions and yogurt and I assure the taste is amazing.The recipe is a gravy kind of a recipe where the lentils play an important ingredient in making this recipe. Heat oil in a pressure cooker, add onion and cook till transparent, add green chilies and ginger & garlic paste cook for few minutes, add chicken pieces and cook well, add salt, red chili powder, lemon juice turmeric powder, mix well and cook for few minutes. Add soaked yellow lentil and cook for few minutes, add yogurt and mix well. Add enough water and pressure cook until the mutton and dal gets tender. Reduce the steam, remove the lid, add garam masala powder and coriander leaves. Cook for a while and switch off the stove. squeeze bit of lemon in the serving plate after putting the chicken daal in the plate. Enjoy with chappatis, naans or boiled rice. 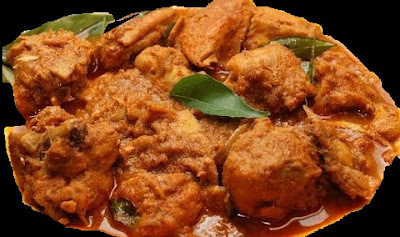 Chicken is one of the healthiest meat in the world and is it the only meat which is available in every corner of the world, you can visit any smallest village in the world and you will find chicken meat or why not visit any of the big cities and guess what! the only meat you will find very easily again chicken. Throughout the history people have been making good money from this meat just because it's the most eaten in the world. 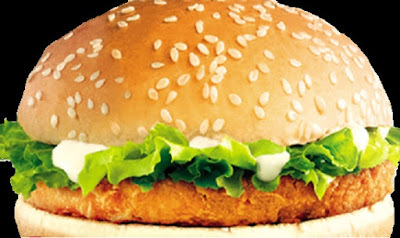 Someone did come up with brilliant idea and started burger king and KFC, believe me that is the difference between businessman and us. 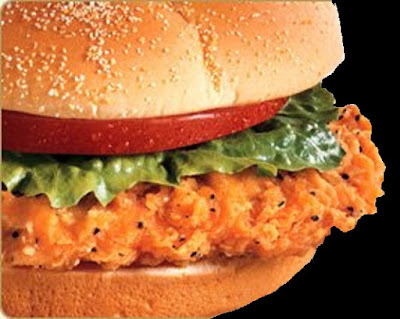 Businessman thinks how to make money and we think about how to spend it and most of our money goes on food or clothes, and for that reason i have to give credit to two men who started burger king and KFC because they chose the best business and changed the way people were used to eating chicken. These days you visit any food or grocery chain what you will find is varieties of chicken food, i was surprised when i saw dominoes pizza and papa john pizza selling chicken popper, now one must think what chicken popper got to do with pizza, answer is simple chicken is the best selling meat. The recipe we chose to share today is simple, yummy and most loved! 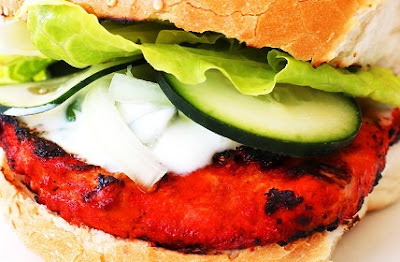 It is crunchy tandoori masala chicken burger, this unique recipe is my personal favorite and everyone in my family loved it, whenever we made it and it is my own home made recipe, guaranteed you will love the crunchy, golden and juicy burgers and off course it does have not only western look but Indian / Pakistani taste as well. If you like it please do use comment box below and do not forget to subscribe our site to get updates on daily bases. In wide bowl add tandoori masala, salt, ginger and garlic paste, lemon juice turmeric powder, lemon zest, black pepper, yogurt and mix well, add chicken pieces and marinate by using your hands (washed) till the marination cover the chicken pieces from all the sides, set aside for at least 2 hours for best taste. Preheat the oven to 220 degrees C (425 F degrees). Line a baking sheet with parchment paper. In a shallow plate add all purpose flour, beat the egg in another shallow plate, place the breadcrumbs in a third shallow plate. Working one at a time, dredge the chicken breasts in flour, dip into eggs, then dredge in panko, pressing to coat. Place the chicken on the prepared baking sheet and spray with olive oil on both sides. Bake for 10 minutes, turn each piece over and continue baking for an additional 12 minutes or until the chicken is cooked through. Spread big mac sauce on the burger buns, put cooked chicken piece then cheese and lettuce on top and finely spread some more big mac sauce on the other bun and your yummy burger is ready to enjoy. There is one topic of history which deserves more respect then we actually give, infect we seem to forget about it when we go through history pages, believe me it is one of two things we need to live and survive, ok you know one is water but how can we forget food. When i go through history books for some reason i can only see Chinese and Arabs who have done work on food recipes. Lets face it! The history of Arabian Peninsula goes as back as you can imagine and the Arabs have not only given us the great history but also the food recipes as well. Since the day when Islamic calendar started the World changed and Muslims conquered 2.2 million square miles withing first century and the era of new history began, different cultures, different ethnicities came together so did their food. Arabs mixed them and made some of the best food recipes the history has written. There are many products that the Arabs introduced to the world and one of that is Maqluba. Maqluba means upside down and there are good amount of dishes in written history of cooking recipes. There are quite few recipe books like Kitab al Tibakhah written in fifteenth century and Kitab al-Tabikh wa-islah al-Aghdiyah al-Ma'kulat written in 10th century by Arabs. 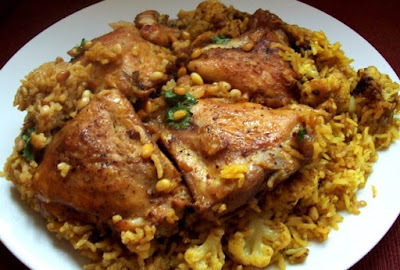 The recipe i am going to share today is one of the best recipes introduced to west by Arabs maqluba chicken and it was brought to Europe by Moors on their conquest of al-andalus (part of Spain) in 15th century. 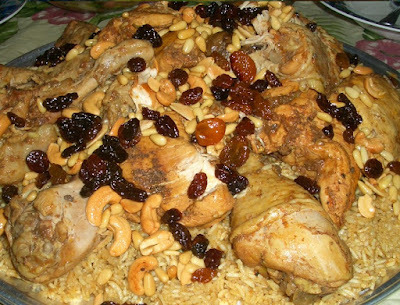 It is one of the upside down recipes, for this you will need rice, chicken, mix vegetables and spices, you can also use dry fruit for garnishing, as almost all of the Arabic dishes are garnished with dry fruit which shows the culture of healthy eating all over Arabian Peninsula. It is Arabian Spanish but as promised we are going to give an Indian / Pakistani touch to it, by saying that doesn't mean we will change the recipe completely. We will try our best to keep it close to original recipe and will only give a tiny bit flavor of Indian subcontinent because most of our dishes were actually introduced by Arabs so not much different you can do with them. Today's recipe will surely bring the memories of ancient Arabs to your kitchen through maqluba chicken. If you like it please do use comment box below and do not forget to subscribe our site to get updates on daily bases. Heat olive oil in a heavy skillet on medium flame, add onions and cook till transparent but not brown keep stirring frequently, add chicken pieces and half of paprika, turmeric powder, salt, baharat spice blend, lemon juice and ginger & garlic paste and mix well, cook till chicken is brown on all the sides on medium flame. In a pan add few tablespoons of rice on the bottom of the pan transfer everything from the skillet to the pot, on top of the thin layer of rice. Fry sliced eggplant in the skillet till brown, transfer eggplant to the chicken pan, fry cauliflower in the skillet and put them on top of the chicken and eggplant in the pan. Cover mixture with rest of the rice and remaining spices and seasonings, cover the pan with a lid and cook on low flame for about 40 minutes. Take it off the stove and allow dish to cool for about 10 minutes before lifting the lid. Remove the lid and place a large serving plate squarely on top of the pot and turn the chicken and rice upside down onto the serving plate. Garnish chicken and rice with toasted pine nuts and chopped coriander. 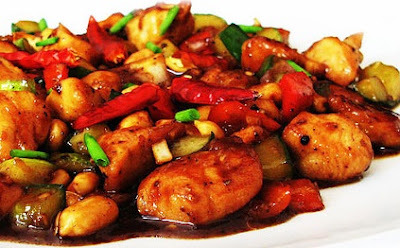 When you talk about highly addictive food I would say kung pao chicken comes right on top of the list, this recipe is so addictive that once you have it you wanna name it after yourself and that is exactly what Chinese did when they came up with this recipe in early 19th century. They named it after late Qin Dynasty official who was a governor of Sichuan Province with the title Gongbao. The recipe was originally called Gongbao and the chef who introduced this beauty was from the province called Sichuan in south-west china. This is how good the dish is they changed the name of the dish in Chinese cultural revolution under Deng Xiaoping's reforms in 1980s, because it was associated with Qin. The dish has been one of the popular Chinese dishes in western world with the changes which suited west, western dish basically includes marinated chicken dices with orange juice, ginger, garlic, chicken broth, sugar, cooking oil, corn starch, salt and pepper and the original recipe includes Sichuan peppercorns, chicken, peanuts, vegetables, and chili peppers, with the sauce made with wine, soy sauce, oil, cornstarch, chili paste, vinegar and sugar. First time i had this was way back in 2008 and i loved it, today i made this Indian / Pakistani style and thought to myself if Chinese originated this and west changed it to their taste, why not give Indian / Pakistani touch to it. 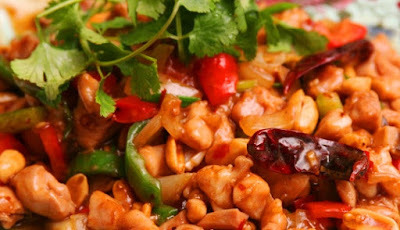 Because people from Indian subcontinent love their spices so we have decided to give you taste of this addictive Chinese dish and bring the memories of ancient china to your kitchen through kung pao chicken. If you like it please do use comment box below and do not forget to subscribe our site to get updates on daily bases. In a medium bowl add tandoori masala, salt, lemon juice, cornstarch, yogurt, ginger and garlic paste and turmeric powder and mix well, add chicken cubes and marinate very well by using your hands (washed) till the chicken cubes have been marinated and well coated from all sides, set aside for 10 to 20 minutes. In a separate bowl add vinegar, soy sauce, sesame oil, sugar, cornstarch and black pepper mix well till sugar is dissolved set aside. Heat a wok or large skillet over high heat until a bead of water sizzles and evaporates on contact. Add the peanut oil and swirl to coat the base. Heat a wok or large skillet on high flame until a bead of water sizzles and evaporates on contact. Add the vegetable oil and swirl to coat the base, add chilies and stir-fry till the chilies have just begun to blacken and the oil is slightly fragrant (You may need to turn on your stove's exhaust fan, because stir-frying dried chilies on high heat can get a little smoky), add the chicken and stir fry till chicken is cooked, add spring onion and garlic & ginger paste and stir-fry for about 30 seconds. Pour in the sauce and mix to coat the other ingredients. Stir in the peanuts and cook for another 1 to 2 minutes. When i think about haleem it takes me straight back to Lahore streets, that is where i had my first taste on haleem and since i had it almost everywhere i have been to but nothing beats Lahori's haleem. When i first heard the name haleem my exact words were what kind of food is that just the name fills your stomach but believe me when i had it i still remember the taste of every bite i took and i can not explain how good it was. I would say the person who came up with this recipe must have had some praises from the king. There are differences between the historians about the origins of haleem, some say it was Persians who originated it some say it was Arabs and there are few people who believe that the credit of this recipe goes to Mughal king Akbar's chef. 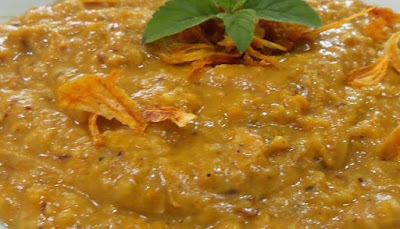 Haleem is made of wheat, barley, meat,lentils and spices, sometimes rice is also used. It is an slow cooked dish but very famous throughout the world on special occasions. 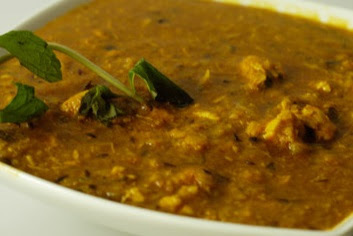 A traditional Haleem is made by firstly soaking wheat, barley and gram lentil overnight. 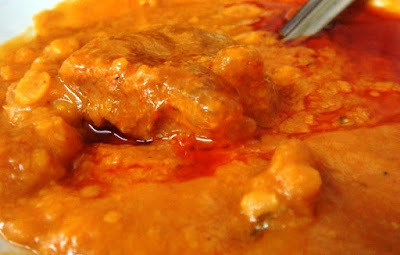 A spicy meat gravy called Korma is prepared until the meat becomes tender. The wheat, barley and gram are boiled in salt water until they are tender. The cooked wheat, barley and lentils are then mixed with the meat gravy and blended with a heavy hand mixer to obtain a paste-like consistency. The cooking procedure takes about 6 hours. 'Harisa, a mixture of meat, spices and grains, is a dish worth stampeding for. People have been savoring this slow-cooked sludge for hundreds, possibly thousands of years. Today, harisa — or its Persian and South Asian equivalent, haleem — can be found from the Mediterranean, [Pakistan and India] to Kashmir, a sizable swath of the Islamic world Ibn Battuta explored,’ says Annia Ciezadlo in her article, History on a Plate published in the Time Magazine. Heat butter in a pan, add meat, garlic, garam masala, red chilli powder, coriander powder, turmeric powder, and salt. Cook on medium flame. In a separate pan boil wheat grains with lots of water, add salt. When the grains become tender and mushy add a pinch of soda and cook further for 15 to 20 minutes. Fry the sliced onion in clarified butter and drain on absorbent paper towel. 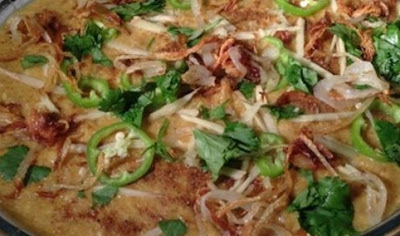 When the haleem is cooked, sprinkle fried onions, garam masala powder, fresh mint, and coriander leaves. Garnish with cumin and ginger. 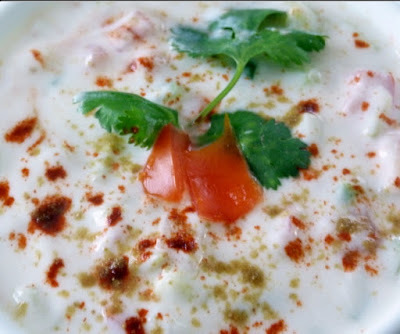 Raita is a dish of Indian subcontinent made from yogurt / curd and vegetables. The word raita in Hindi and Urdu is a derivative of the Sanskrit word rajika which means black mustard and tiktaka which mean sharp. Raita has stormed to the cuisines around the very fast and it is one of the best and loved side dishes, it is very famous in China and Chinese raita is made same way as they make in Indian subcontinent. There are so many different ways you can make this dish, you can use almost all the vegetables, the recipe we are going to share today is called boondi raita. Boondi is a Rajasthani snack food made from fried chickpea flour. 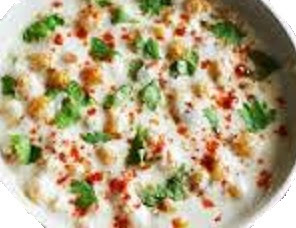 Boondi raita is a delicious recipeand very popular in India, Pakistan and Bangladesh. Boondi raita is one of the tastiest raita anyone can prepare. There is also myth that says word boondi has come from a Hindi word Boond which means drop. Boondi Raita Recipe is an easy preparation of Boondi in Curd Mixture. 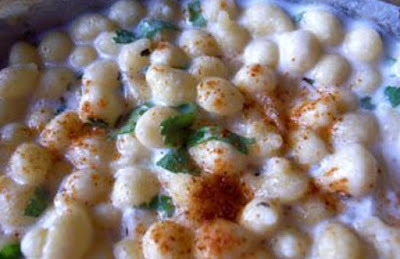 Today I will share the recipe of Boondi Raita that took a crispy Boondi Raita. Is one of the most traditional North Indian Raita. Boondi ka Raita Is a healthy and delicious accompaniment which goes very well with Indian meals. This is one of the simplest raita around. how can make boondi raita. I will give you recipe tips. easy to make.. It's yummy Raita. 1.Add water to gram flour and mix well to spreading consistency. 2.Add salt & beat till becomes light. Heat oil & pass the paste through draining spoon. Fry till golden & crisp. 3.Stir the curd with hand mixer(mathani). 4.Add boondi and mix gently. If it becomes thick add little milk and mix it. 5.Now add salt, cumin powder and chili powder, mix well. 6.Sprinkle garam masala and garnish with chopped coriander. 7.Keep in refrigerator for an hour or so. 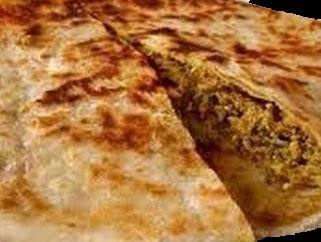 Mughlai paratha is a very famous breakfast dish of India and Pakistan but it is landmark of Bangladesh and it has some history behind it, it entered Bangladesh cuisines in Mughal era and it is part of Bengali breakfast since. As i mentioned the history of how Mughals entered India and what they have left behind for us in my previous recipe of mughlai chicken. The Mughals loved their food and mughlai paratha is one of the dishes which was on the menu for breakfast. Plain paratha itself is one of the most loved bread throughout Indian subcontinent and neighboring nations since medieval but it was Mughals who introduced stuffed paratha. Even the plain paratha you can enjoy hundreds of different ways but making it is only one simple way and for that all you need is dough and butter, but for making stuffed paratha you will need bit of work. 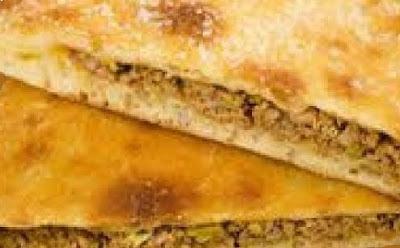 You can make stuffed paratha with almost every meat or vegetables. If you are vegetarian then you should try my Potato stuffed paratha which is as yummy as non vegetarian paratha. Lets start with it, i hope you will enjoy my hard work of bringing recipes from to your kitchen from around the world and making it easy for you. In a bowl add flour, salt make a hole in the center and add the oil. rub the oil with the flour with your fingers till it resembles fine bread crumbs. Knead the dough using milk, add the milk slowly and knead it into very soft and pliable dough. Once you attained that stage, grease the dough with the oil, cover it with damp kitchen towel and leave it to rest for 2 to 3 hours. Wash the minced meat in a colander, keeping a bowl underneath. In a pan heat 1tbsp oil, add onion slices and cook till light brown, add minced meat and cook on high flame till minced meat starts releasing lots of water. Add the ginger garlic paste, salt, green chilies, cumin powder, red chili powder, coriander powder, garam masala and lemon juice and cook on high flame till water dries and meat is cooked. cook filling 24 hours before making the paratha. Knead the prepared dough lightly for couple of minutes. Divide it into equal golf ball size. 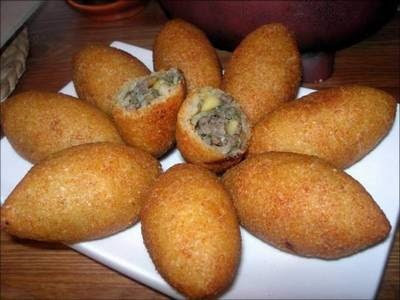 Place the minced meat filling in the center add two teaspoon of egg mixture on the minced meat. Fold the paratha enclosed packets well. Mughlai dishes or Shahi dishes are well famous in India and Pakistan and both brands belong to Mughal era. When Muslims conquered parts of Indian subcontinent around AD712 and the reason for coming to Indian subcontinent was to free a Muslim woman from the king of sindh called Raja Dahr. The army of Muhammed Bin Qasim did not stay long but what they did was opened the doors of India to coming generations. Because it was prohibited to eat meat in hindu religion the meat was in abundance and the spices of India always have been well famous and when Babur established his own throne in Delhi, it was a new era for India because the Mughals were not like their predecessors who would simply come to one part of India, stay for a while then go back to their own country Mughals were here to stay and stay for long long time. It is mentioned that Babur himself did not enjoy much of Indian food but it was the Mughal era which did not only give great history to Indian subcontinent but also some of the best recipes we enjoy today are given by the Mughals. They (Mughals) made their own recipes by mixing Iranian, Indian and Afghan recipes with Turkish touch and today you can taste any of their recipes and you will love it. Tell you truth my favorite is Murgh Musallam which was my first recipe when i started this blog, every time i cook Murgh Musallam its better then the last time and kids just love it, every two or three weeks they would say are we having Murgh Musallam today. 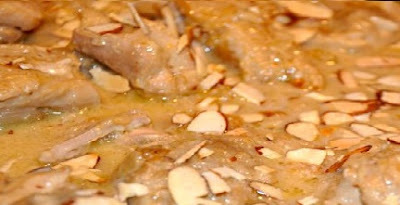 Chicken Mughlai is another Royal dish which you will love and will take you back in Mughal era with every bite you take. I have searched almost everywhere for the best Mughlai or Shahi recipes and some people have done extra ordinary work and have given us best Mughlai or Shahi recipes through their books or websites but believe me it is very hard to explain the taste till you try it yourself. Hope you will like my hard work of bringing recipes to your kitchen from around the world and making it easy for you. In a blender add green chilies, coriander leaves, lemon juice, yogurt, salt and sugar blend till its nice and smooth, set aside. In a food processor add cumin seeds, coriander, and chilies and blend to a paste, Add the ground almonds and water and then blend again, set aside. Heat oil in a pan add the chicken in batches and fry the chicken pieces for 10 minutes till light golden, remove the chicken pieces from oil and keep aside. In the same oil add chopped onion and cook till light brown on low flame, add bay leaf, cloves, ginger garlic paste, salt, chili powder, vinegar, garam masala and blended paste cook for few minutes on medium flame, add chicken pieces and mix well cover it with a lid and cook for 15 minutes, add yogurt, chutney and cream and cook on low flame till oil comes on surface. Garnish with almonds and cashew nuts pieces. Karela (bitter gourd, bitter melon) is probably only one vegetable which which has ability to fight diabetes and cancer. It has been used in Chinese medicines for centuries and the benefits of eating karela are countless. It is a unique vegetable and does take some skills to cook, because it is bitter and because of it's bitterness it wont be easy to swallow, then again why am i here for! i am going to share with you how to cook with no bitterness left in it. Have to say the way my mother cooks karela it is the best way, most of our relatives ask my mother to cook karela handi for them. 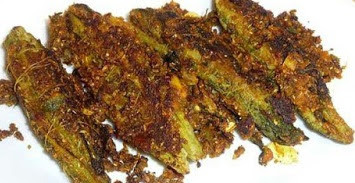 Best one normally is karela gosht or qeema karela which i will be sharing with you very soon but today we are going to share masala karela and its yummy, before i share the recipe recipe let me tell you why i am sharing this recipe today, when i was thinking about which recipe to share with you because normally i share what we cook at home i share same, it took me three hour and still couldn't think of anything and fell asleep early, what i saw in my dream was a family member who is diabetic asked me to make him karela juice so the diabetes stay in control, when i woke up i decided to share with you the masala karela. This recipe is well known all over India and Pakistan and is served almost every hotel and dhaba. because Punjab from both sides of the border is kind of agricultural hub for both nations that is why it is very popular vegetable in Punjab. I spent few good years in Pakistan and did travel a lot so i had chance to try food from different states and cities, believe me the karela handi of Punjab is the unbeatable. To take all the bitterness out you will need to wash and cut them then fry them in boiling oil before cooking them. Please enjoy the recipe and stay fit and healthy. How to make karela masaledar. 1.Take off and reserve the scrapings of the karelas. 2.Give a slit on one side and take off all the seeds. 3.Cut karelas into thin slices. 4.Wash and rub two table spoons salt all over the karelas and its scrapings. 5.Set aside for 3-4 hours. 6.Wash completely again and squeeze dry the karelas. 7.Heat up oil in kadhai. 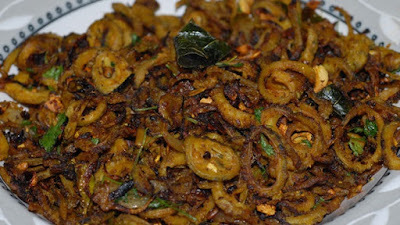 8.Deep fry the cut karelas till dark brown and crisp. 9.Take off the karelas and keep aside. 11.Heat up 3 tblsp of oil in a kadai. 13.Stir fry for 3-4 minutes till they are transluscent. 14.Mix in scrappings of karela and let it stir fry till onions are a little brown. 15.Mix in turmeric powder, coriander powder, dry mango powder and red chilli powder. 16.Mix in the fried karelas to the above mixture and stir fry covered on low heat up for 5-6 minutes. 17.Mix in salt if needed. You travel anyway in the world and they will have their own style of kebab dish. The list of kebab types is in 100s. 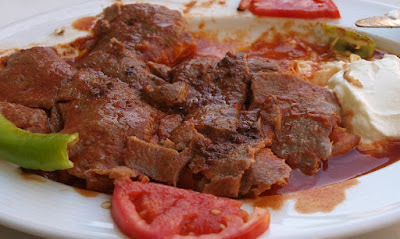 Iskender (Sikandar, Alexander) kebab is one which has it's own taste and must admit it one of the most delicious kebab in the world and is a must try kebab on trip to Turkey. It is believed that the name of this kebab took after it's inventor İskender Efendi, who lived in Bursa in the late 19th century, but there is also another theory that it was named after Alexander the Great (Iskender in Persian language and Sikandar in Urdu). 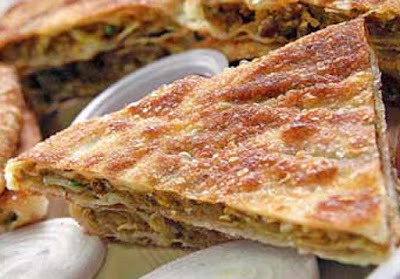 It is bit similar to doner kebab with thinner and wider meat strips prepared vertically and served with yogurt and sauce, where as doner kebab is smaller piece of meat prepared horizontally. 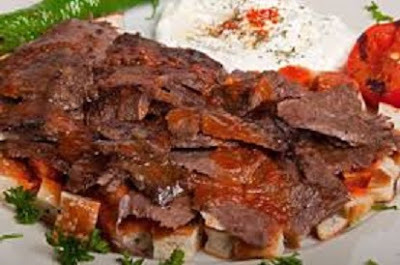 It is tasty, tender, crispy slivers of vertically roasted meat served with loaf of soft, flat bread called pide or pita bread with melted goat butter and tomato sauce and plain yogurt whipped into creamy texture. Best way to make sauce for this is cook ground tomatoes in goat butter and add some melted goat butter when serving. In my house we love our food a bit more spicier then normal so i made two portions separately, one portion i made was with original recipe and it was delicious and tried second portion with bit of Indian and Pakistani touch and just added lemon and roast masala to the marination and believe me it was yummy. 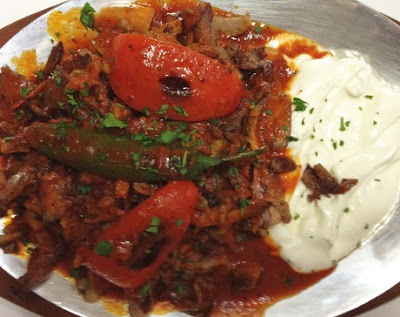 Today i am going to share the Iskender kebab with Indian / Pakistani touch and hope you will love my spicy recipe of Iskender kebab. First prepare the marination for the meat. In a food processor add onions and process till it becomes liquid, discard any remaining onion pulp. In a bowl add lemon juice, roast masala, salt, pepper, olive oil, and onion juice and mix well, add meat cubes / slices and marinate the meat using your hands (washed), leave for overnight for best results. Place marinaded lamb pieces onto a skewer and cook on grill, basting with more marinade until brown and tender all over, it should take about 10-15 minutes. Warm pita on the grill on both sides and keep warm. Slice the pita into squares, divide into 4 portions and place as a layer on each serving plate. Add garlic paste and salt in yogurt and mix well. Spoon onto the pita squares just before adding hot lamb kebabs. Cut tomatoes in half and grill slowly until hot, don't overcook, as they will become too soft and soggy. Repeat with the chill peppers. Mix tomato puree with olive oil and pepper and heat in a small saucepan, add salt to taste, and drizzle over kebabs as it is the meat sauce. 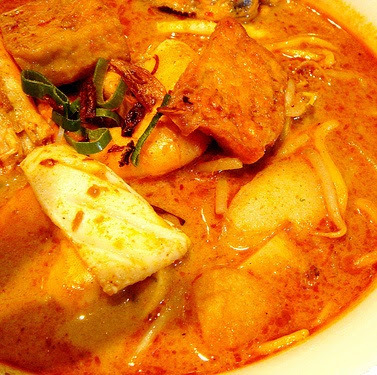 Laksa probably is the only dish i have seen which has so many types that counting goes into 100s. i will be adding few laksa recipes coming days. It is undoubtedly one of the best and loved dish with international recognition. It is believed that Laksa was a mixture of Chinese and Malaysian recipes introduced by Chinese sailors and local Malaysian communities from the coastal settlements, as promised i will add some Indian / Pakistani touch to it, and believe me it the taste will be better then Malaysian Laksa with this Punjabi touch. Try this recipe at home and your loved ones will love you more. 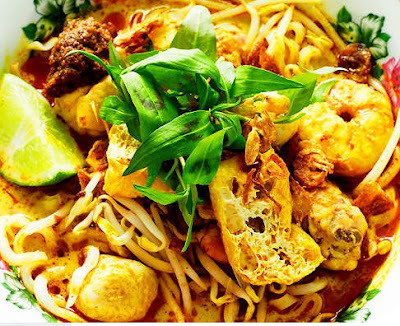 The main ingredients used for the Laksa soup are chicken, fish or prawns with flavoring of laksa paste and spices make is not only Delicious but want more type of dish. Please visit my site regularly for some of the best recipes from around the world. Lots of people are asking for their favorite recipes through email and I do my best to fulfill every humble request from my respected reader through my email (instead of email please try to leave your request in the comments because it will be easier to check and remember). Please be patient your recipe will be posted (we have to make it to check how good it is). Heat oil in a pan add onions and cook for 3 minutes on medium flame, add red chili powder cook for further 2 minutes on low flame, add ginger & garlic paste cook for 3 minutes on low flame keep stirring occasionally. Add the stock, coconut milk, coriander Stir to combine and bring to the boil. Reduce flame to a rolling simmer and cook uncovered for 6 minutes. Add the prawns and Chicken to the broth and cook a further 4 minutes. place equal amount of boiled noodles in a serving plates Ladle the Laksa broth into the bowls, garnish with equal amounts of bean sprouts, spring onion, coriander and serve immediately. PUNJABI SUKHI CHANA DAL RECIPE Is A Popular Dish in India. mostly make this recipe in Punjab haryana Rajasthan. SUKHI CHANA DAL RECIPE tasty and yummy recipe. and healthy recipe for our body. Sukhi Dal Is also called Dal Fry, popular in Punjab Sukhi Means Dry, dish is not soupy. Perfect for lunch and a great tiffin recipe. PUNJABI SUKHI CHANA DAAL recipes VEG recipes EASY TO LEARN. I love it dal. 1 cup - Chana dal. Handful - Pinch Corainder leaves. 1/4 tsp - Cumin seeds. 1 tsp - Lemon Juice. Preparation- PUNJABI SUKHI CHANA DAAL RECIPE. 1.Clean, wash and soak chana dal for one hour. 2.Pressure cook the dal with 3 cups of water. Keep aside. 3.Heat ghee in a pan, add cloves, cinnamon stick, bayleafs, cumin seeds and fry until they pop up. 4.Add onions and fry till brown. Add salt and turmeric powder. Mix well. 5.Add dal and let it boil for few minutes. 6.Garnish with corainder leaves. When the dal willbe cool, add lemon juice and stir well. 7.Serve sukhi chana daal hot with rice or paratha..
Al-Kabsa is a traditional Saudi dish made of meat and rice with spices and nuts adding extra taste and flavor to it. 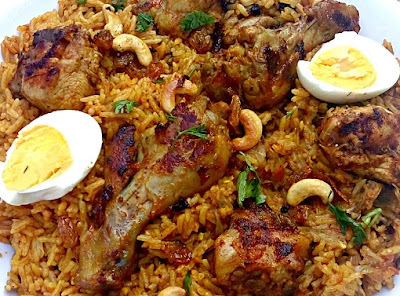 Al-Kabsa is a dish you can say between Biryani and Palao as the similarity is quite close. 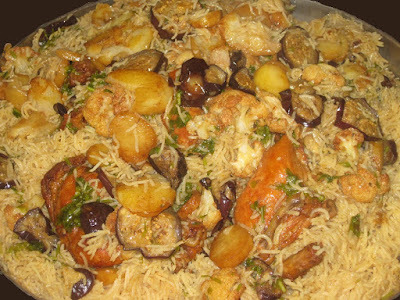 It is served on all special occasions like Eid, Weddings, Ramdhan or parties, it is believed to be indigenous to Yemen but is being enjoyed as a Saudi National dish. 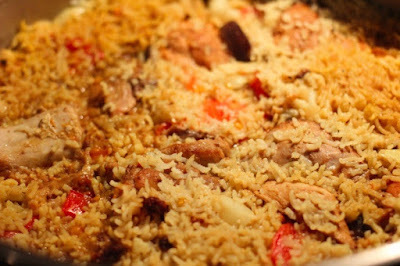 Al-Kabsa is a very flavorful and tasty dish with less spices where the Biryani and Pulao are more spicier then Al-Kabsa. People use different techniques for cooking the meat for this dish but the traditional way is rice are cooked in chicken stock and believe me it make lots of difference and the rice be very flavorful, simply take the chicken out of stock once its cooked and cook the rice in left over stock. Heat oil in a large non-stick pan add onions and grated ginger, cook till onions turn brown on a medium flame, add chicken pieces and saute for a few minutes, add orange zest, pepper, cardamom, cinnamon, tomato paste, cumin, chopped tomatoes and salt, combine well and cook for a few minutes till the oil rises on top. add water & stock cube and cook the chicken covered for 30 minutes on low flame. After the chicken is cooked, remove the chicken from the pan and place it to a baking pan and broil at high for 5 minutes or till the chicken turns brown. Be careful not to burn the chicken while broiling. To the remaining stock in the pan, add the soaked rice and shredded carrot, Re-Cover & simmer for 35 - 40 minutes, add saffron, adding the raisins for the last 10 minutes - or until rice is tender (if the liquid dries out and you need to cook the rice more, add more water accordingly and cook the rice). While the rice are cooking, heat a frying pan over medium heat, add 2 tbsp oil and add almonds to it, fry till it turns light golden brown, Keep aside in a paper towel, in the same oil, add the raisins and fry till it's puffed up, keep aside in a paper towel. 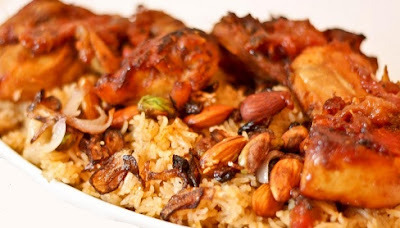 Place the rice on a large serving dish, topped with the chicken, garnished with almonds. it's yummy. Lassi Patiala Is a delicious Indian Recipes Served as a Drink. Lassi Patiala Is the famous Punjabi drink, generally served between the summer meals This delicious. Learn how to make/prepare Lassi Patiala by following this easy recipe steps. 2 tsp pistachio (pista), almonds(badam) (very finely chopped). How to make lassi patiala. 1.Soak saffron in 1 tsp of hot milk and mix till saffron is dissolved properly. 2.Take a mixing bowl, add curd and sugar in it, mix them. 3.Add the saffron, cardamom and ice. Whip it wellwith the help of hand beater till lassi is frothy and light. 4.Garnish it with the strands of pistachio and almonds. 5.Add crushed ice over it. Serve chilled. Kebabs have been one of the favorite side dish of almost every nation for centuries. I read in a history book when Prophet Yahqoub (Jacob) asked his son Israel to make the kebabs for him and he will pray for him, Israel went to catch his lamb from the jungle to make the kebabs for his father, one of Israel's brothers had his herd close by so he made kebabs quickly and gave them to his father, father prayed for him. The part of story i just mentioned is just to show how old history of kebabs is. Every culture or nation has it's own varieties of kebabs and there are hundreds of different ways to make kebabs. 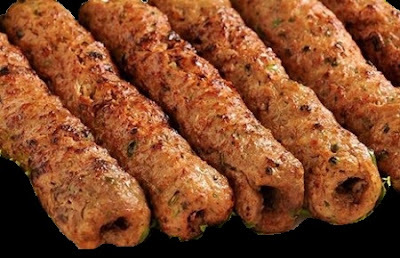 Seekh kebab is one of most preferred side dishes of Indian and Pakistani communities around the world. 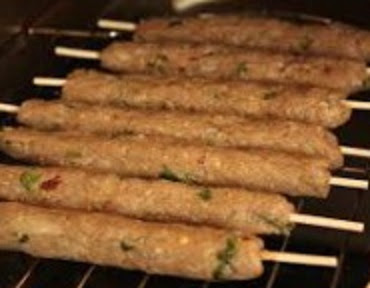 On all types of occasions or ceremonies seekh kebab has to be there as a starter. It is very simple to make and the taste is just as they say finger licking. Try it at home and you will come back to my site for more recipes. Please don't forget to subscribe my site because I put one or two recipes on this site daily and guaranty is they are all different then other, they are unique, they are delicious. Add onions and green chilies in a food processor and process till it make thick paste. 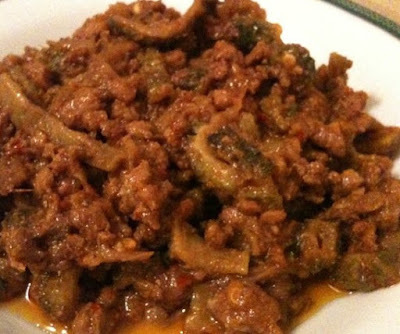 Place the minced meat in a large bowl, mix all the ingredients and begin working the minced meat with your hands. Cover it and leave in the refrigerator for a couple of hours (overnight for best taste). Should be enough for 8 to 10 servings. 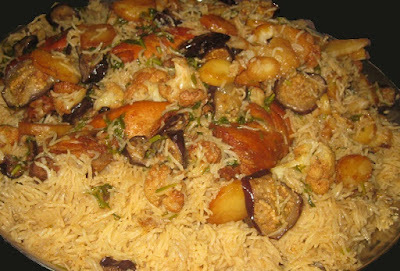 Kubbeh is an popular Arabic dish. 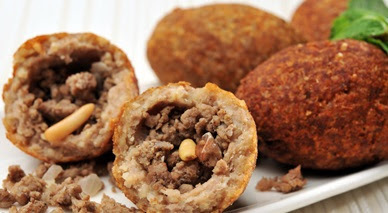 It is much-loved dish throughout the Middle East made of Bulgar (cracked wheat), minced onions, and finely ground lean beef, lamb, goat or camel meat with Middle-Eastern spices like cinnamon, nutmeg, clove, allspice. In a large skillet heat the butter and olive oil, add onion and saute till onions are transparent. Add the meat and cook till it changes the colour and is no longer pink, add pine nuts and cook another 2 – 3 minutes, add spices and mix very well, cook another 3 – 5 minutes or till all the water or oil dried up, take it off the heat and let it cool off. In a bowl add cracked wheat (burghul) and fill with water till wheat is covered, let the cracked wheat soak until it begins to soften; about 20 – 30 minutes. Drain in a fine sieve, pressing out as much of the water as possible, and set aside. Place the lamb in food processor and mince to fine paste. Add the remainder of the ingredients (adding water a little at a time) to the blender and mix, remove and set aside. 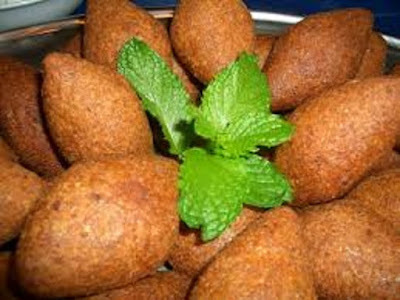 Shape 1/4 cups of kubbeh into balls using damp hands. Hollow out the centers using thumb, and place a rounded teaspoon (or more) of filling inside. Shape kubbeh into ovals. Now deep-fry the kubbeh in hot oil (in batches) until browned all over and cooked through. Drain on absorbent paper. tomato rice recipe is tasty. and It would be good for kids lunch box too. 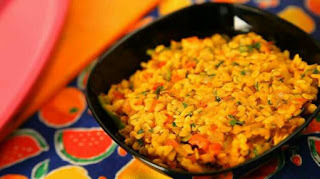 Tomato rice recipe, learn how to make delicious. This is really good and easy to prepare. 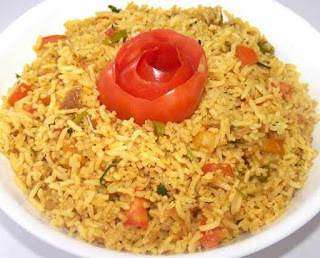 This is comforting tomato rice recipe which goes well with any gravy based dish, salad, raita. Tomato Rice recipe is a breakfast recipe made with rice and aromatic tempering. you can learn our here how can make it. 1 cup basmati rice, washed and soaked for ten minutes. 1 whole black cardamom (bari ilaichi). 1 tsp red chili powder (lal mirch ). 2.Put in the whole black cardamom and then the tomato puree. 3.Now add the dry spices, salt and saute. 4.Put in the rice and mix well. 5.Finally add the water and cook covered till done. 6.Seve hot. And Enjoy Recipe. 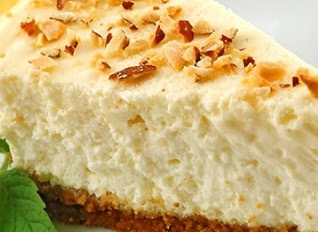 Cheesecake is believed to have originated in ancient Greece. 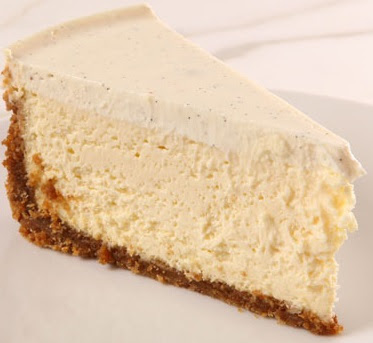 Historians believe that cheesecake was served to the athletes during the first Olympic Games held in 776 B.C.When the Romans conquered Greece, the cheesecake recipe was just one spoil of war. They modified it including crushed cheese and eggs. These ingredients were baked under a hot brick and it was served warm. Occasionally, the Romans would put the cheese filling in a pastry. It may be baked or unbaked (usually refrigerated). 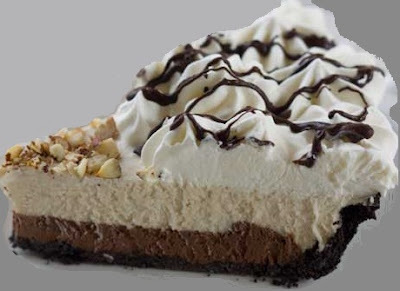 Cheesecake is usually sweetened with sugar and may be flavored or topped with fruit, whipped cream, nuts, fruit sauce, and/or chocolate syrup. Cheesecake can be prepared in many flavors, such as strawberry, pumpkin, key lime, chestnut, or toffee. Asian-style cheesecake flavors include matcha (powdered Japanese green tea), lychee, and mango. Asian-style cheesecakes are also lighter in flavor and are sometimes light and spongy in texture. Compared to its counterparts, Asian cheesecake is also considerably less sweet. Melt cream cheese, butter and milk over a double boiler. Cool the mixture. Fold in the flour, the cornstarch, salt, egg yolks, lemon juice and mix well. Make the meringue by whisking egg whites with cream of tartar until foamy. You can beat with a stand mixer or handheld mixer. Add in the sugar and whisk until soft peaks form. Take 1/3 meringue and fold into the cheese mixture, then fold in another 1/3 of meringue. After incorporated, pour the batter back to the remaining 1/3 meringue and fold. FOLD GENTLY. Pour the mixture into a 8-inch round cake pan (lightly grease and line the bottom and sides of the pan with grease-proof baking paper or parchment paper). Bake cheesecake in a water bath for 1 hours 10 minutes or until set and golden brown. Garnish with melted chocolate and crushed dry fruit. 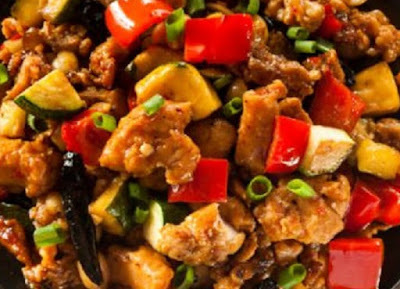 Moo Shu is an Chinese recipe normally cooked with pork but we are going to share the recipe which is Halal so we are going to use chicken instead of pork. As you can use variety of items to make this recipe, it can be cooked with pork, chicken, vegetables, shrimp or tofu. 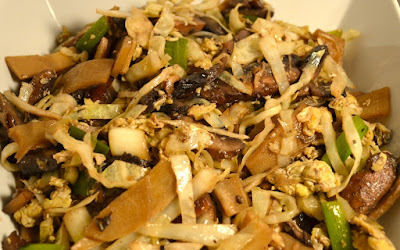 Other ingredient are often cabbage, mushrooms, bean sprouts, bamboo shoots, snow peas and bell peppers, also scrambled eggs. 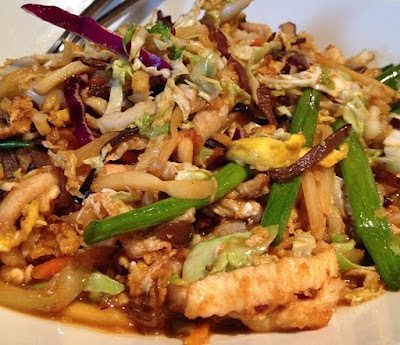 The name of the dish comes from the fact that the thin vegetable strips resemble wood shavings. Such shavings (which resembled shredded wheat) were used as a packing material for shipping fragile objects until approximately the middle of the 20th century. 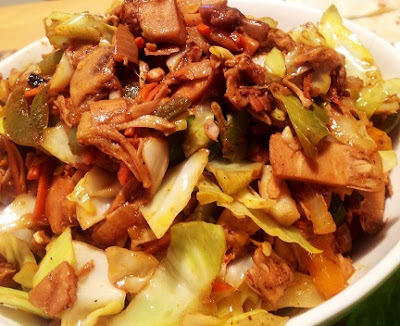 In its traditional Chinese version, moo shu pork consists of sliced or shredded pork chop meat and scrambled eggs, stir fried in sesame or peanut oil together with thinly sliced wood ear mushrooms (black fungus) and day lily buds. Cut the chicken in half inch strips, in a bowl add tandoori masala, salt, vinegar and chicken strips, mix very well. Heat cooking oil in a large wok, add onion till transparent on medium flame, add salt and spring onions using all the whites and enough of the tender green tops to make about 1 cup. Immediately add the onions, shredded cabbage mix and mushrooms to the skillet. Raise the heat to high and cook to soften vegetables, stirring from time to time. Add marinated chicken, mix the cornstarch into the lemon juice and add it to the skillet along with the soy sauce and garlic and stir well. Add the broccoli coleslaw mix and stir well. Continue to stir fry, stirring frequently, about 5 to 7 minutes until the chicken is no longer pink. Just before serving, put the tortillas on a plate and microwave, uncovered, 1 minute 30 seconds to warm through. To serve, spread baguette spread to taste on each tortilla (1/2 to 1 tsp) and spread 1/2 cup filing on each tortilla.